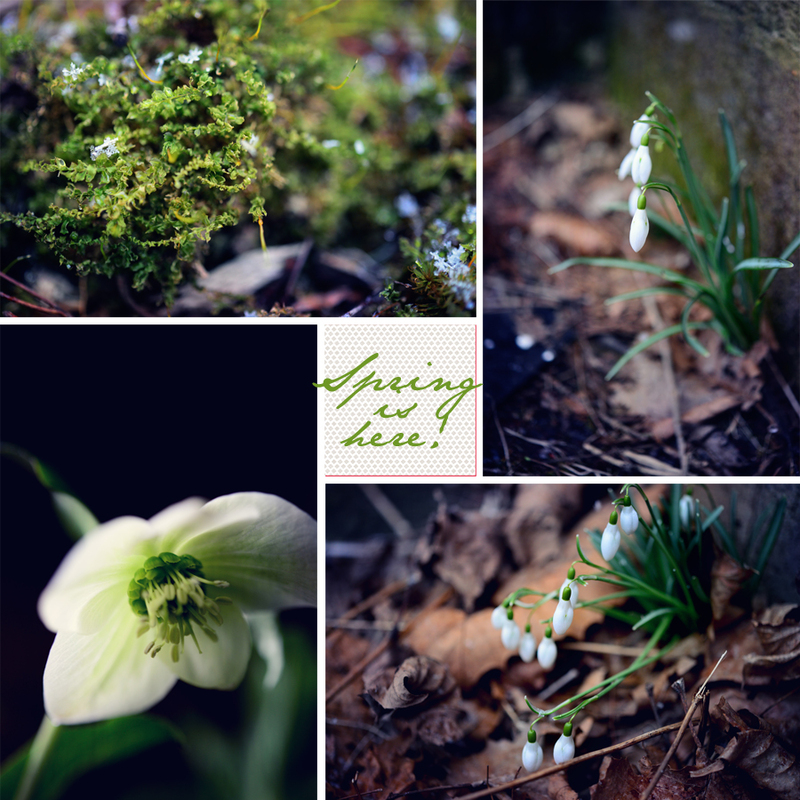 so nice to see spring :) beautiful pics! Out here it is still cold and damp, but no snow. Daffodils are everywhere and my tulips are all showing big fat buds, as is the magnolia tree. Spring must be just around the corner. Thanks for sharing the pretty flowers of Spring. We did not get the light snow predicted for us the other night, and I was so glad. You would not know it is Spring here either. dark, dreary, wet and cold. Hi Mary, I do have mosaic pictures in my post but clicked on the first picture without thinking. Love your spring peeks collage. Thank you for hosting, have a sunshine week. I love when I find the first little peeks of spring. Love images and mosaic. Thanks for hosting. Mary, your mosaic is pretty. The snowdrops are lovely. No signs of spring here, but we are being threatened with snow this evening and tomorrow. I wish you a happy almost spring and a great week ahead. I'm still looking for my snowdrops, the snow has finally melted enough. It's amazing what you can buy on-line now; glad your new mattress was a happy purchase. I feel for you Mary with the new blast of cold you are getting. Our weather is the typical bi-polar weather of spring in the Northwest. Sigh... But, the good news is the flowers are blooming! Thanks for the mattress tip, I've been needing to get one and I'm all about saving money. While you are desperately waiting for warmer weather I'm yearning for Fall over here in Australia! Please send some of that snow my way! Thanks so much for having me. Hope your weather gets a little better before Easter. A big fat NO to snow. Perhaps this will be the last of it. I hope so! Lovely photos of the early signs of spring. It's coming, it's unstoppable! I hope you have a good week with very little of that 's'! Happy Monday! what a delight it is when the spring bulbs start to pop up their heads. It seems that the northern hemisphere is having a long cold snowy winter, so I can understand the yearn for spring. Have a wonderful week and thank you again for hosting Mosaic Monday. At least you have some signs of spring - it doesn't appear like there's anything going on here in the midwest. Anxious for Spring here! We had snow the last two days. All melted now. Hoping for warmer weather. Hubby and I are needing a new mattress. I'll have to check them out. Thanks for hosting. Such pretties for spring - and a lovely mattress, what could be better? Winter is holding on here for another week, Mary, as we had more snow! Hopefully the blossoms will be back soon. Glad you got you cable problems fixed--i know how frustrating that can be! A new mattress can be heavenly and worth its weight if gold! You're almost there - just hang on for another couple of weeks and I'm sure Spring will arrive at your door!!! A good mattress is one of the best things in the world I agree! Thank you for hosting this party Mary and for inspiring us once again with your magical photos! Thanks for the mattress mention! We are on the lookout for a new one in the new future. Yea...for spring! Hi Mary, I've met quite a few lovely ladies who join in to your fun Monday and so I'm joining for the first time; hope I've got things right.I love your spring flowers. Just stole a couple of my mom's hellebores for the vase. Aren't they spectacular? Such a treat to have early flowers. Here my world is thawing out from the winter storms however the ground still frozen.No flowers in sight but perhaps Easter weekend will bring change to the garden!Have a happy Easter! Your flowers are so beautiful and I love the thought of Spring arriving any day now....right? You'd never know it by looking outside my window....Happy Easter to you and your family. What a lovely mosaic and party. Thank you! 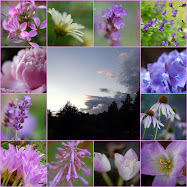 I am still looking for spring:( I did have one or two little crocus bloom...then fade in the snow.